Oh? That was in-game music? Oh? That was in-game music? Thanks, Dark Ether! Well, I assume so. Could be something else - I've been wrong once before. We need an animation of a shoulder pet eating a (spandex clad) mouse. A number of shoulder pet animations can be sold in the cash shop. Shoulder pet points straight ahead. Word Balloon comes from the pet: "Kill my minion, KILL!" Pet wanders from shoulder to shoulder, settles back in original position. Pet clutches heart, keels over dead. lots of little emotes can be sold this way, and soon everyone will want a shoulder pet. Some who were there in chat can maybe fill in what was asked/answered there. I missed most of it, so don't know what little tidbits may have dropped. I meowed out loud (MOL) when DoctorTyche used Super Speed to vibrate through a wall ... and then got stuck *inside* the wall! You are quite right, that is all in-game music. Dark Ether: Thanks for the link! What?! The vid doesn't start until 22 minutes in progress ... of a 57 minute presentation?! I had planned for more, and then the server crashed. Ha! Makes me think of Saints Row IV. BTW, while having the avatar turn its head when the camera turns can look cool in some situations, if the player is trying to capture a screenshot of the character this could prove troublesome. Can we get a toggle to turn head-follow off and on please? "The way travel powers [are] being setup is that you can mix and match elements from each of them, from what I understand. So not technically taking two travel powers, it's building the one you want." then, "not 100% sure..." "....I'd have to check with the mechanics guys"
Yo even if that is kind of possible, that is such a great idea, and incredible! OK, flying leaps go a lot higher if you ragdoll in mid-air. It's just impossible to 'stick' the landing. It would be more like 'noodle' the landing. Apologies if someone asked this during the stream, but I didn't have time to watch the whole thing. 1) Will this be like the revamped tutorial that came out with Freedom where our decisions during the tutorial will determine whether we are hero, villain, etc? 2) Is this bank tutorial a private mission instance or a shared mini-zone like the tutorials in the old City? The bankrobbery tutorial - is there anyway to have our character remain more "neutral" it seems at the moment it deviates down hero or villain paths. Is there a part to the tutorial to say "Why" the character was there ? For example "Why" they are there tells lots of different things for example were they there on contract to rob or rescue or eliminate a target at the bank ? these things define the character away from the hero and villain path and could bring them towards the neutral point. In the real world, people do not respond to why, but actions. Same too in here. The reason why is often times left off. Properly, this is not making you a hero or villain, but establishes how the world reacts to you. Our goal is to leave the "why" up to the player. Thanks for the info Doc. It seems a really large map for an instance. Or will it be full of enemies and NPCs and it just looks that way at the moment cuz it's empty? I have to say I really like the artwork, especially the combining of classic architecture with those omnipresent business posters. It seems like exactly the kind of thing a bank company would do with a building like that. Sorry, I didn't say that well. I didn't mean a large map so much as the building seems so huge that the player character seems really tiny, bouncing around in this massive space. 1. You mentioned the possibility of there being a mortgage loan officer at the bank, then joked that one might take pout a loan to build a SG base with. Is this the plan for how we register an AG and get a base, for realz? Would we go to the bank and talk to the loan officer to do that? 2. You mentioned that the stolen stuff in the vault would be usable as swag for the villains stealing it, if we make ourselves villains. Reserves, specifically, were mentioned. I would have assumed IGC or Augments and Refinements would be closer, in flavor, to what you might get as "loot" from robbing a bank. Did you consider that option and nix it for some reason, or what? I would think you want tot he tutorial to get into items and IGC somehow anyway. 3. Will the tutorial villains be coming in through the doors, or tunneling in through the floor? Or smashing in through the roof? 4. The log in screen asks for Email and password. Do you think it may confuse people into typing their email address and the password for that email account? Did you consider labeling the fields "Your email address" and "your _MWM_Account_ Password" instead? 5. The symbol on the class select screen are not equally spaced relative to each other. Also, and I know Doc is color blind, but several of the class symbols use the same or similar colors. Two fo them use blue and two use green. I would suggest in the final version using 6 very distinctly different colors. Maybe red, green, blue, purple, yellow and orange. 6. Will we be able to rotate the chest symbol around the center? Or flip it vertically, or left to right. 7. Did you and cabbit both pick the red cape by coincidence, or is the color selector not working for that yet? Thanks for the demos, once again. It will eventually be full of various NPC's, yes. You'd be shocked how adding people fills a space. But the size also has to do with the needs of a tutorial. As I said, at the end you get to pick your travel power, which means you'll need space within which to test it out. That is the idea. There will be various SG base locations available around the city, and you sign up for them at the bank. This is to help demonstrate to players how to slot their reserves. It's a bit more complicated than the classic drop, because you can pick which reserves you want active at any one moment. That means, however, you need a brief walkthrough in how to set them up. That is temporary until we have the game talking to the user database properly. Have not wired up the color select for the cape yet. Fair enough. Looking forward to this! This is interesting! Unless I missed something along the way, this is the first we've heard of slotting reserves. Are you guys still working on the cape or does it not quite work on the dummy than a official character model? It looks weird connected to the back at the shoulder blades. Rather than at the mantle. Particularly when falling. It looks a heck of a lot better than COX but that aspect really bothered me. I'm not in love with the animation for slowing down while running or landing. Particularly when the character lands and slows at the same time. Is it possible to code in the "superhero landing" if the user releases all movement controls while falling? Can't wait to get in there and break some stuff. Maybe slightly oversized for gaming purposes, but true to the spirit of 19th century banks showing off their wealth. 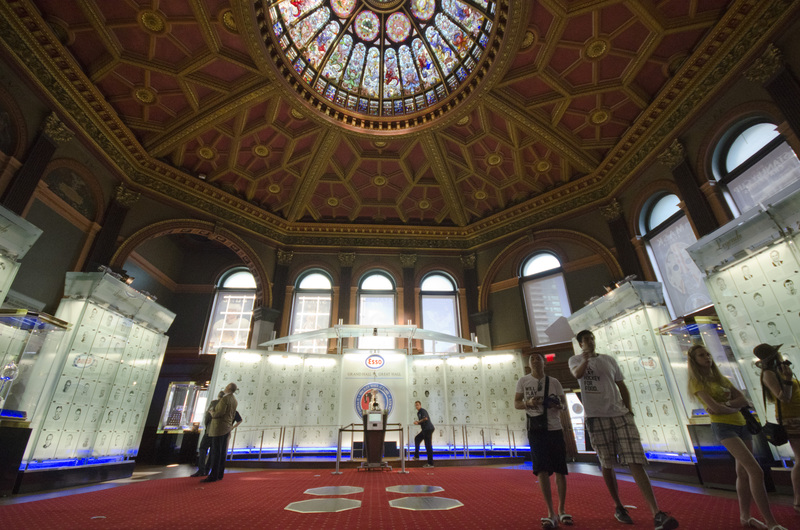 It reminds me a bit of the Hockey Hall of Fame's Great Hall, which was originally Bank of Montreal's main Toronto branch. That's good to know. Some of the office spaces also looked unusually large, almost comparable to hallways and terminals at airports. It put me in mind of the SWTOR maps, which were often huge, open spaces. While they looked good they also made the place look and feel empty, because there was very little to fill that space. One would wonder if you are Canadian with such an excellent photo. Or is it stock? I really liked the bank. The detail is fantastic. Sounds like a great way to start things off. ... so that there's room for up to 8 "anchor stores" on the ends of the lines and there can be a big outdoor central courtyard area in the "middle" of the mall building. You then just put the parking all the way around the city lot the building is in, for the typical "lake of parking" around a shopping mall. The Maul is slated for a post launch district. It is a converted factory done up in New England Gothic style, so will be pretty close to what you were imagining. I'm from Pittsburgh, which I'm told has been Slightly Canadian ever since, oh, around June of 1984. ???? I found that picture on Google Image Search, because the last time I was at the HHOF, my mobile phone had a camera best measured in kilopixels. I'm home sick today. So I can actually watch the (not so) Livestream. We should have a contest to name the stock statue. At our current rate, which districts are slated for launch? It seems to me I read a list somewhere but I can't find it. When I saw the statue, I thought it would be really fun for there to be a villain whose power is to "enliven" inanimate objects... thus using the statue to attack the bank staff while he steals the money/reserves. The Maul is in Clarkstown, the currently anticipated first post-launch district. All zones were to be comparable, if not larger, than a given zone in Co*, yeah? That's so exciting! The Maul is in Kattstown, the currently anticipated first post-launch district. You read it here, Folks! Straight from Doctor Tyche himself! I see in today's Hijinx a comment about this week's upcoming Twitch stream. Is this a generic reminder to folks, or is there to be a special announcement this week? Any hints? With the bank raid, you said it would be a newpaper article at the end. Will the robbers for example if you go the "good" route be captured alive or would say taking the violent action leave them dead. I'm wondering as my character would more than likely put hostiles down permanently after all leaving someone just unconscious still leaves them as a possible threat. You don't need to leave a trail of dead bodies in your wake to be considered violent. Daredevil is violent, and he just punches people. Also, even in CoX you didn;t "kill" anyone, you "defeated" them. Thanks for explaining that a bit better than I, Radiac! Question, actually, for the good Dr: what are supergroups or hero/-ines, who have Mogul buildings in post-release districts, expected to do for Superbases until their zone is added? It could conceivably be months until they get their actual base. That comment makes me very sad for the younglings who are coming to The City, Brandy! "Hey, that was Kronos! Leave the rest of us out of this!" In contast to demigods, who help others eat their young. somehow I doubt the twitch stream will feature a cooking show. I mean how would you tenderize Rottweiler? Rottweiler is already a tender loving soul. He's just demonized by those fearful of his aggressive appearance and heritage. With a spiked meat tenderizer mallet. Possibly after a bit of boiling. And aging for 100 days hung in a dry cellar to maximize the Rott. The awesomeness of Twitch: "Oops! We encountered an unexpected error. Please try again." So much for logging in and trying to use the chat. I picked up the lat 10 minutes or so, weather, lightning, good looking map, statue booty. good looking stuff there. what are supergroups or hero/-ines, who have Mogul buildings in post-release districts, expected to do for Superbases until their zone is added? It could conceivably be months until they get their actual base. Access to supergroup-owned bases does not require a Mogul building. At worst, they'll have to use the same base access method (details TBD) that everyone else uses. I swore we already said the base access method. 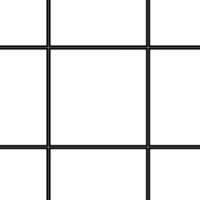 In each zone there will be "base plot" locations for rent, which are buildings, sewer entrances, etc, that determine your base's, well, plot size. We call them Apartment Spots. There is an entryway section, within which you will then find an entrance, which loads up an instance of your base when you enter them. So, a high-rise you'd enter through the elevator or roof, while a brownstone through the foyer, an orbiting space station you'd enter through the airport shuttle, sewer through a particular manhole, etc. Dibs on the trailer park entrance. They're instanced bases, so multiple people can have the same entrance. So, an orbiting space station you'd enter through the airport shuttle ... etc. Wait a tick! You mean I actually *can* have an Orbital Katt Kave?! Being highly radioactive, I think Radiac's lair should probably be underground, so I'd opt for sewer. I hope they can make my Mogul have an entrace to the underground lair too, though I just thought of that just now and didn;t mention it in the description of the building, which was mostly about the neon sign it has. I don't why not. It would just be a card board box in space. "Good grief! I've heard of flying saucers but this is ridiculous!" That is in a post-launch district. Anyone else see the problem with this? Check your orbit AK the Legion's orbital yarn cannon will also be up there. One can go to any chapter house to enter..... MooseLodge! [*Russian Blue voice*] "Am having moose, but am also having squirrel? Am needing moose and squirrel, squirrel and moose! Imperious Leader am demanding it!" Imagine listening to elevator music for that long! I'm more imagining all of the catgirls and flying cats glomming onto the string and trying to 'kill' it. (*Nixon voice*) "I am not a catgirl. I have never been a catgirl. I don't even know what a catgirl looks like, my ... fellow ... Americans!" I am not a catgirl. I have never been a catgirl. Oh, of course, I didn't mean You, AK! You're a girl cat, not a catgirl. Thank-you for clarifying that for any new Forumites who may not be familiar with "The World's Mightiest Moggie"! That doesn't really answer the question, or more accurately it only answers part of the question. Let's extrapolate. I buy access to a base, and I get access to said base, via whatever cosmetic method I choose in game. Then I get my Mogul building, which I assume I don't have to pay to have access to in-game, because I've already paid out of game, and promised access to, so now I have an extra base, and I've wasted in-game currency. Assuming, therefore, that I justifiably do not want to pay for something in game that I have already been promised, how then do I gain access to a Superbase prior to the Mogul building's zone being implemented? You would already have access to the base through a stock entrance in the interim, before your building is ready. No need to purchase that base ahead of time. Does anyone have a summary of the Aug 25 broadcast? I didn't want to sit through an hour plus of puppy whining. Noticed ~10min of flappy birds at the end, was this relevant tot he project at all? Discussing the launcher, the demands for it, hurdles, etc. Sorry about thepuppy whine. Richard handled the stream after the previous one hung in the middle on me. Minimize possible real-world distractions and prep the software for stability at the streamer's end, since truly unavoidable Twitch / ISP / game dev software issues can create enough trouble for streamers and watchers on their own. Consider rescheduling if the topic / streamer / network conditions aren't ready for it. At least for my ISP/region, Friday evening internet traffic is heavy so keeping the stream running with even modest video quality can be a struggle. Unfortunately, viewer-side stream buffering will stack with any streamer-side gaps in the stream's pacing or sound quality due to distractions or the software being in odd states (sluggish from weather acceleration, etc). That can discourage me from interacting and viewing while it's live. Choose a consistent theme or topic for the stream to take advantage of livestreaming's strong points. Personally, I think A and B work best, but C can be ok.
A) Demonstrate how some game features work. For example, testing the soft/hard target locking feature in combat, a walkthrough to show off new mission map segments, and talking with an NPC contact... especially anything that's hard to describe in text on the forums. Then the streamer can discuss future plans for enhancing it and / or linking it with other features that aren't ready yet. Since there may be many viewer questions, the stream is interactive and interesting. B) Demonstrate how to draw / design / code one thing out of many similar things. We get to watch some low-stress art / modeling / coding, since the streamer is familiar with the task and has already eliminated most hurdles through experience. Since they can work and answer questions at the same time, the stream can be very interactive. It's also a chance for viewers and streamers to connect by, sharing info about past projects and how they became involved with MWM. C) Describe and show the status of a unique work in progress and then add to it as we watch. Viewers get to experience the hurdles of development for something being done for the first time. However, it can backfire if too many unexpected problems arise and require lengthy rework or brainstorming mid-stream...but at least it's showing the reality of this type of design work. It's probably more stressful on the streamer, and may lead to either slow progress or very little interaction with the viewers. Is there a way to not have the image in Dr. Tyche's phone mirrored while twitching from the front camera? Mirrored image? Not sure what you mean. I didn't notice anything reflected when he was shooting forwards. The livestream with the bank was my favorite one so far. I would encourage more like it. Showing off a close to finished map is what gets me pumped, and this one was really impressive. I especially liked the layout for how you pick alignments. Very in depth and complex. But when using the camera in the front of the phone, the image was reversed. In the first few seconds, note the wall behind him and his badge. Yesterday's stream is up - where we showcase the making of the costume piece "Tachyon" - an aerodynamic helmet on the Female character. Also giving a sneak peek at the customization capabilities.